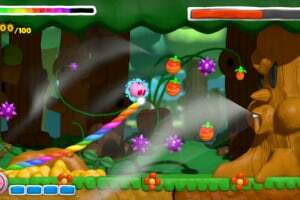 Do you have the magic touch? 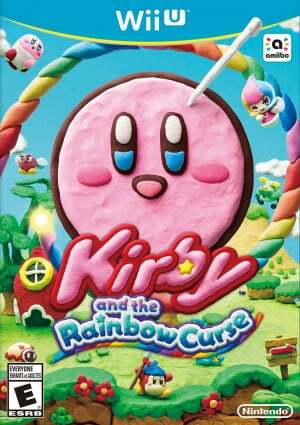 Then guide Kirby as he sets off on grand adventures in a hand-sculpted clay world. 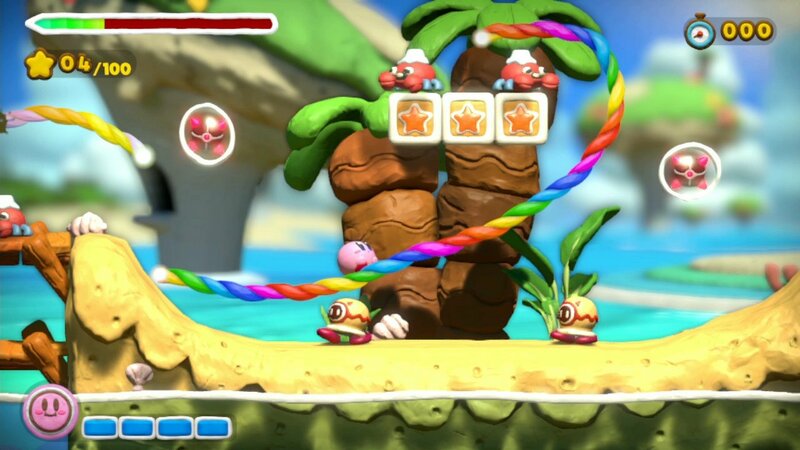 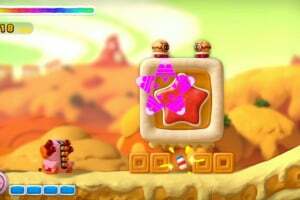 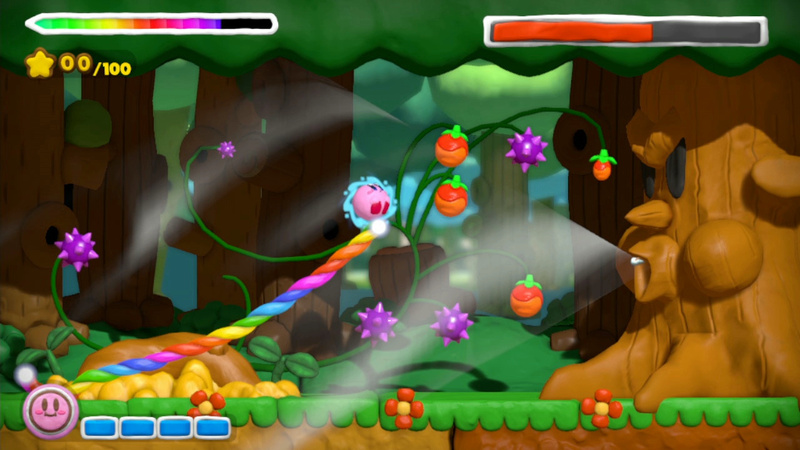 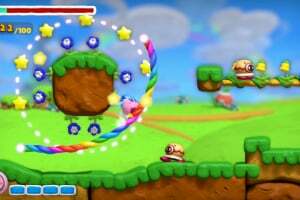 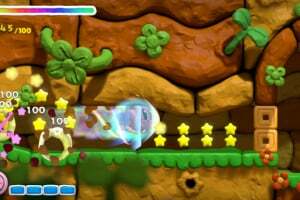 Draw lines on the touch screen of the Wii U GamePad controller to create rainbow-colored clay ropes to move Kirby around freely, or tap him to attack enemies or blast through obstacles. 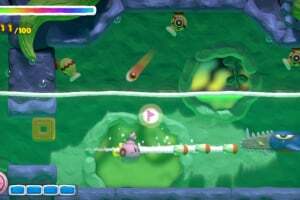 Transformations include a submarine, rocket and tank. 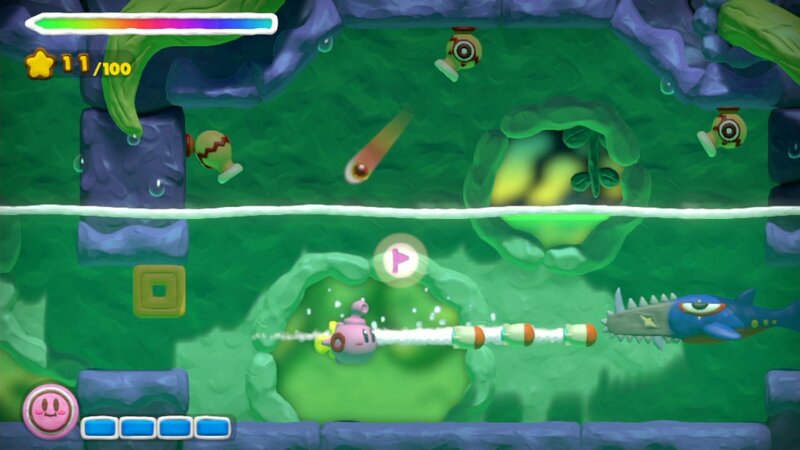 In underwater levels, Kirby dons a swim mask. 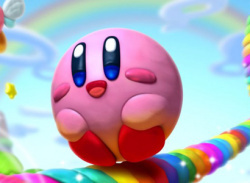 If his power level gets too low, a clay bandage appears on his head. 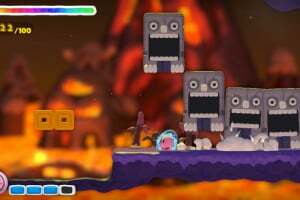 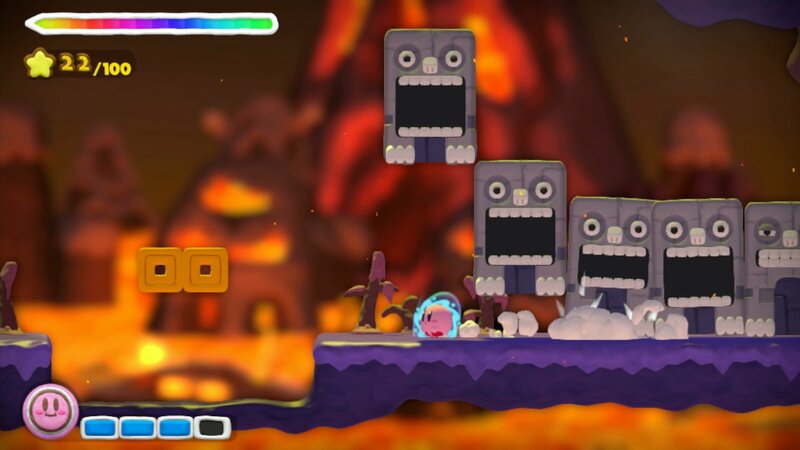 Kirby comes to life in a world of clay, which creates a beautiful backdrop for Kirby's adventure. 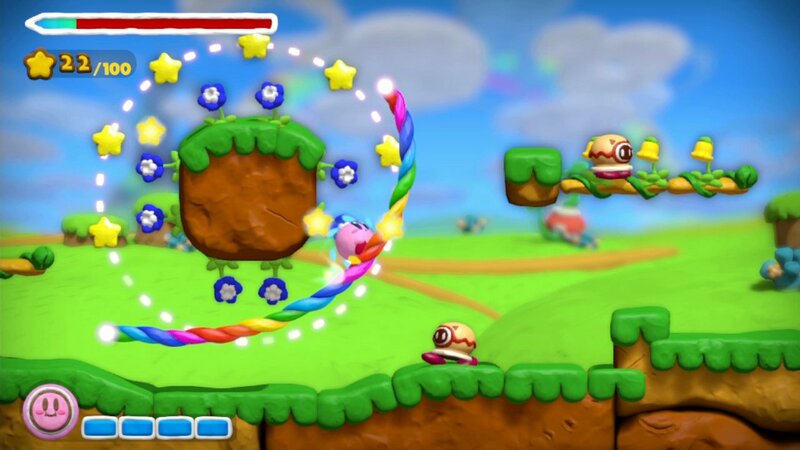 You take control of Kirby with the stroke of a stylus and draw on the GamePad touch screen to guide Kirby through the world. 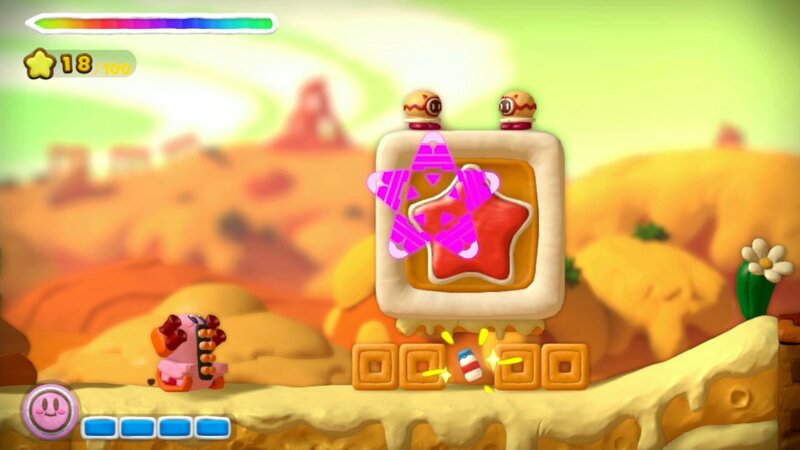 The intuitive drawing mechanic is a spiritual successor to Kirby: Canvas Curse for Nintendo DS that builds on the game play and takes it in a new direction. 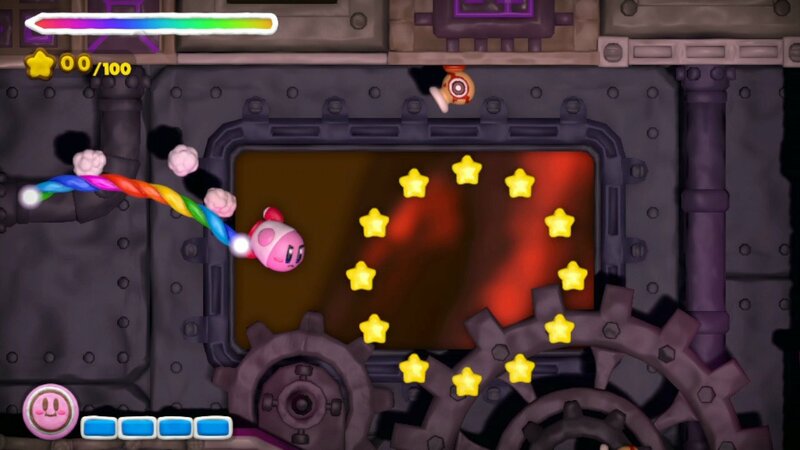 I just found out that EU is going to have to wait till the second half of 2015. 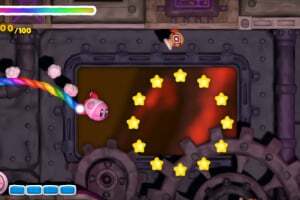 The game reminds me of Kirby: Canvas Curse for the NDS. 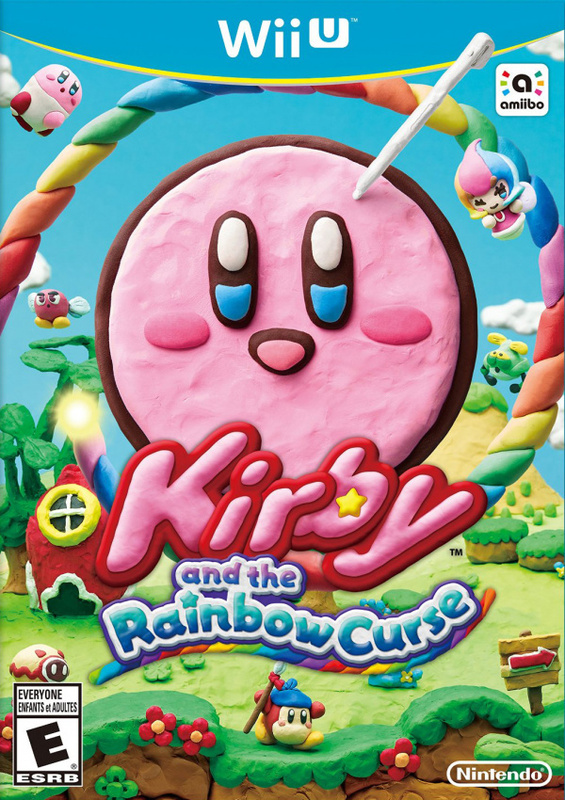 I still want to get it though because Canvas Curse was one of my favorite games of the NDS, even if the game was short. 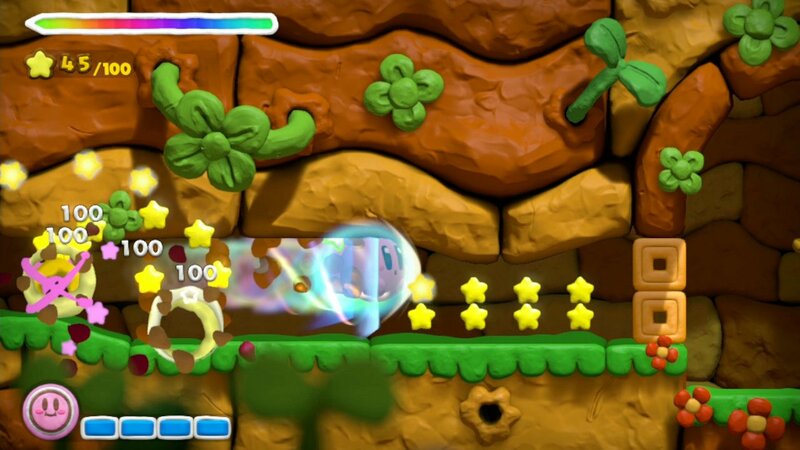 Why the hell is the release date listed here as Q4 2015? 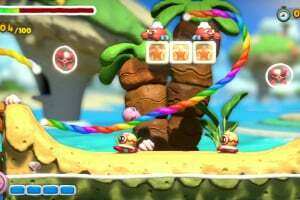 Wasn't it supposed to be Q2 which is also stupid and typical Nintendo behaviour.